Diagnostic Equipment and Reagent business at present is an emerging type of business in Bangladesh. Both the Government and private sector paying a special attention to the health sector. Big conglomerate like Squire Group, Exim Bank established their Hospitals to and more big corporate groups are coming in Health sector for establishing Hospitals and Health centre. And Diagnostic division is the most important part of Health sector. So as the Hospital and Health Centres are increasing at the same time the diagnostic reagent and medical device business is increasing more rapidly. All these Hospitals and medical institutes use equipment and consumables. These Equipment and reagents and kit supply is a huge business and creating its demand day by day. My objective is to justify and evolution of the concepts of marketing and promotion policy of the instrument and consumables of diagnostic business. Depending on the company type they set their marketing policy for their company. The importer and the whole seller sometimes do not go to the end user. They sale their products to the supplier and small business companies who directly sale the goods to the end users. Some company have several branches all over Bangladesh who sale their products to the end user by their sales people. In this type of company some time do monopoly business with their customer. As they have more manpower, a good range of products and cover a wider range of area so they have a good command over customer and sale a good volume of products. Some small or one man supplier also doing a good business. They have a good communication with the customer and give service any time they require. Health sector is one of the most important sectors in present situation of Bangladesh. Both the Government and private investors are concentrating their mindset in this sector to make a better health situation in Bangladesh. And in the health sector one of the most important part is diagnostic division. To determine the disease more specifically the diagnosis is must prior to give the medication. In recent years, there have been dramatic changes in the diagnostic market. The range of conditions now being tested has greatly expanded, along with an increased variety of the analytical techniques employed. Other major trends have been the rapid growth of the at-home testing market, and expansion of the medical research market segment. An additional trend has been the development of inexpensive, automated testing devices known as point of care (POC) instruments. .
Clinical and research laboratories, healthcare providers, and hospitals use medical diagnostic kits (MDKs) and Devices in Bangladesh consume about 300 million taka per year of in-vitro reagents, chemicals, and other consumables to evaluate individuals’ overall health and diagnose, treat and monitor disease. This study focuses on the market policy and products promotion strategies in Diagnostic field. As a participant of Evening MBA Program of Department of MIS, University of Dhaka, I have to submit internship report for partial fulfillment of the MBA degree. Our honorable teacher Mr. M. Abul Kashem authorized this report for internship program. As per his instruction, I have become interested to submit a report on “Diagnostic Reagents and Medical Devices – Product Promotion and Marketing Policy in Bangladesh”. The main objective of the study is to learn how the Diagnostic and medical instruments and reagents are being marketing in this field and how to improve the products promotion policies in Bangladesh. The study is to have an overall idea of products promotion strategy & thus to correlate my theoretical knowledge with practical perspectives. To Identify the range of products in Diagnostic and medical instruments and reagents. To learn different types of products category. To make a strategy planning for the promotion of the products. To know the marketing policies of the products used in diagnostics and hospitals. To identify the client group hence increasing the market size. 6. Scope for the products. Interview data were combined with information gathered through an extensive review of secondary sources, such as trade associations, company literature, and online databases to produce the baseline market estimates contained in this report. This paper has been written on the basis of secondary data collected from the plasmatec Laboratory products Ltd. I also applied observation method and a survey with a formatted questionnaire form to gather information about the organizations. I have collected data from some competitors companies from different service people working there. My personal experience in the job also helped me a lot in writing the report. The information regarding Plasmatec Laboratory Products Bangladesh and other companies are collected are not exact figure but nearly exact. Theoretical information has been taken from the book, Marketing Management, Philip Kotler, 11th edn. Principal of Marketing by Kotler and Armstrong & also from Internet. The report has been prepared with the help of MS Word. I have not got all exact information from the personnel of Plasmatec Laboratory products due to the company secrecy. All the sales figures mentioned in the report are not the exact figure but very close to the real figures..
All the features & analysis have been confined to the company. The base year for analyses and projections is 2008. At the time this report was prepared, year-end data for 2009were not yet universally available. Where necessary, market estimates for 2008 were developed using interim (partial) data for 2009combined with historical data for the years 2008 to 2009. Plasmatec Laboratory Products Bangladesh Limited is a Bangladeshi company specializing in the Manufacture, Sale and Distribution of Diagnostic Kits and Laboratory products to the world market. This company product is only the reagents, no instrument or medical devices are imported and distributed by this company. The company operates from its office at 393/1, Free School Street, Dhanmondi, Dhaka. The company has been established since 2004 and aims to continue providing high quality diagnostic kits to all areas of the scientific industry. The success of the company has been built on the quality of the product and the professionalism of the staff. The company is an ISO certified company is among the few ISO certified company in this field. The Company Policy is to achieve profitable growth by consistently satisfying its customers. The Quality Policy of Plasmatec Laboratory Products Ltd is to achieve and maintain, throughout the Company, a system of procedures that will reflect to existing customers, potential customers and independent auditing authorities the competence of the Company to provide Diagnostic Kits and Laboratory Products of assured quality. Achievement of this policy involves all employees who are individually responsible for the quality of their work and to whom this policy has been provided and explained to by the Managing Director. To achieve and maintain the required level of assurance, the Managing Director approves the Quality System and retains the responsibility for operation of the Quality System. a) To maintain an effective Quality System complying with BS EN ISO 9001:2000 (Quality Systems) and the relevant Quality Assessment Schedules/Systems Supplements. d) To endeavor, at all times, to maximize customer satisfaction with the services provided by Plasmatec Laboratory Products Bangladesh. In simple words Marketing is managing profitable customer relationships. But now the concept of Marketing is satisfying customer needs. In other words marketing defines as a social and managerial process by which individuals and groups obtained what they need and want through creating and exchanging products and value with others. Need: needs are states of felt deprivation. There are some basic needs of human being which are food, clothing, warmth and safety. Besides some other essential needs which are social needs for belonging and affection and individual needs for knowledge and self expression. Demand: When backed by buying power, wants become the demand. The core concepts of marketing is defined as the need, want and demand creates the marketing offers as products or service which when fulfill the value and satisfaction of human being then exchanges or transact in a place which is called the market. To follow the marketing core concept we can define marketing as managing market to bring about profitable exchange relationships by creating value and satisfying needs and wants. In Marketing Customer relationship is the most important constrain. Customer relationship management is the overall process of building and maintaining profitable customer relationships by delivering superior customer value and satisfaction. In this report I tried to find out the marketing policy of the Diagnostic Reagents and medical devices justify the concepts of marketing. Depending on the products the marketing concepts varied and the policies taken are different for products to products. The diagnostic products are different from the products in all respects of use and user. These products are taken by the mainly in Diagnostic Centres and Hospitals. But different health organization and research organizations is also the customer of these products. 2. Diagnostic reagent and consumables: To run the instruments the chemical that needed are named as Medical Diagnostic Kits (MDK). Some Dry and wet chemical or kits are used as consumables. Medical or laboratory appliance, apparatus or instrument used for detecting information from the human body for the purpose of assisting clinical procedures. The imaging products are included X-ray, Ultrasound, ECG, Endoscopes etc which are used using some UV rays and other rays to detect the image of the organs. Medical appliance, apparatus or instrument used for treatment of pathologies, including substitution or modification of the anatomy or physiological process of the human body. Medical, or laboratory appliance, apparatus or instrument used to provide support to diagnostic, therapeutic or surgical procedures. Medical, odontologic or laboratory materials and devices intended to be used only once, temporarily or for a short time. 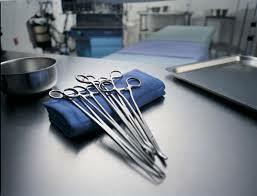 Medical materials and devices, intended to be introduced totally or partially, through medical procedure, into the human body or natural orifice of the human body, or intended to replace an epithelial surface or eye surface, remaining for a long time inside the body after the procedure, and removable only through surgical procedure. Medical or laboratory materials and devices intended to provide support to diagnostic, therapeutic or surgical procedures. Reagents, instruments and systems that, together with their instructions for use, contribute to the undertaking of a qualitative, quantitative or semi-quantitative assessment of a biological specimen, and that are not intended to fulfill any anatomical, physical or therapeutic function and are used exclusively to provide information about specimens collected from the human body. i) X-ray — Instrument, film. iii) Ultrasonography – Instrument, paper, gel. The total diagnostic market size is 700 million taka on the basis of 2008 sales volume. This data is for both Instrument and Consumables. The trend of this business is 10-15% growth per year. As the demand is increasing due to population growth and establishing of new hospitals and diagnostic centres the no of companies in this field increasing day by day. The companies working in this business have a positive trend of increasing business. Some time some small company’s growth stopped due to big outstanding in the market. The market outstanding also becomes bigger day by day of the companies as the business trend is making due business in all respect of customer. Yearly sales volume of The companies are collected from the company personnel’s are as follows. Instrument: Analyzers, Reader, Washing Instrument, Incubator, Imaging Instrument, Surgical Instruments, Hospital instruments etc. Consumables: Reagents, Kits, Accessories, Rapid strip and devices etc. One of the important factors of marketing mix is price. The pricing of the products of this business has no regulations by any authority. Almost 95 percent of products are imported from different countries. So the importer set the price their own products depending on the costing value which is called the cost base pricing. Some time the renown companies set the prices depending on the value based pricing theory.. As the importers set the price and there is no regulatory authority of the products pricing so the importers set the price normally at a high rate. As the competition growing day by day so sometime the companies’ follow the competition based pricing theory. Now days some company set the market penetration pricing depending on the competition in the market. In that case to lower the price of the products they import bulk products and make the bottling and packaging here. The target customer of these diagnostic products is the diagnostic laboratory, Private and GovernmentHospital, Health Check up centre, Health centers, Health Institute etc. The client of this business is the diagnostic centre and hospital and clinic, government hospitals, heath centers, and other health centers. The market leading companies have branches in the large cities and they cover mostly all over the Bangladesh. But some other company has limited branches but they also try to cover all over Bangladesh by their sales forces controlling from Dhaka or from few main branches. Besides some companies have 2 or 3 people working in specific areas and try to cover as much as they can. The main trend of this business is to give products in a long term due. There is no definite rules maintains to control the due business. 1. They have many branches and have sales people to visit the customers regularly to maintain their customers. 2. As the business totally run on due basis so the market leader try to occupy most of the customers by giving a long term due. 3. The purchase person is given some benefit to purchase the products by the company sales people. 4. The large company introduces some close system instrument which they sale the consumables later. This way they secure their business from other competitors as the instrument is closed one. So the customer is bound to purchase the consumables from them. 5. Some time the closed system instruments are offered as rental basis. So the company gives the instrument as free but sale the consumables at a high rate. 1. The small companies having 2-3 sales people work in a small area. 2. This business is mainly dependent on the personal relationship. Thus the sales person creates an image to the customer mind (the purchase person) and maintains the relation ship with the customer. 4. Give personal benefit to the purchase personnel. 7. More knowledgeable about the products. In this business some single person working in the customer end for selling his products. These people worked under a large company and after creating some market start working independently. Can sale products with a minimum profit as he does not maintain any office or have not other cost like the large companies. They do not import any products; just buy from the importers and sale to the customer. They don’t have the responsibility of products quality and after sale service. Direct offer. Here in this business the sales people directly offer some discount to the user of this products. In this case the lab technician who do the test is benefited. The owner of the diagnostic centre or hospital does not know about this type of offer. Usefulness: This direct offer is beneficial for the company business. As the direct user gets the benefit so he is liable to give the business. Drawback. This promotion has some drawback. As the lab in charge is directly benefited so the laboratory or the hospital looses some direct benefit. Some time some defective material can be entered in the hospital but the user use it without any questioning due to his liabilities to the seller company. The test result may no accurate by using the defective or out of order kits. Promotional Material: Some time companies offer some promotional material like pen, diary, gift item like wall clock etc to the users. Periodic gift Item: Like calendar, souvenir, catalog, brochures etc. Sale rental basis: In this type of promotion the companies offer some instrument free for the use of certain amount of consumables. Mostly the sales people use the Push and Pull strategy for proportioning their products. The companies use the Advertizing concepts for promoting their products. In that case they use as the media of advertising in the souvenir/magazine of different organizational program. Like AGM, Annual Picnic, Iftar etc. There is a huge demand of products increasing day by day as the health sector is most rising sector in the present scenario of Bangladesh. There are scope of introducing the new technology, new dimension of diagnostic products both for the instrument and reagents in Bangladesh. So many investors can come and invest in this business. Though there is some competition in this market but as the market size is increasing day by day so the competitors can have enough space for promotion of their products. As the technology changes so rapidly the medical devices and technique of diagnosis is also changing day by day. Newer products and technology can be introduced when it is available. Introducing the new technology the facilities and standard of diagnosis can be improved. Thus people can get the facility and health service of the renowned hospitals of the world. Few years back there was no facility of PCR (Polymerase Chain Reaction) technology and can not diagnose the early detection or the latest position of Liver and Auto immune diseases. But as these technology is introduced by some leading diagnostic centres and Hospitals. So people now can get this facility in Bangladesh. So it is very important to introduce the new technique and technology when it is available for service. For the companies who import and supply the diagnostic products have to take some marketing strategies for betterment of their sale and market position. 1. Always try to look and introduce new technique and technology to the customers. 2. Try to reach as much close as to the end user. 4. Engaged skilled and knowledgeable people to introduce modern technique. 5. Trained the user for the newer technology for their better service to people. 6. Ensure better after sale service. 7. Maintain a competitive price for the products. 8. Maintain a good relationship with the end user. 9. Use effective promotional tools. 10. Try to maintain the overdue and remain in it under control. In this business of Diagnostic and medical device and reagent there are lot of opportunity for the investors. As the demand of the products are increasing, technology is changing, dimensions are expanding day by day so there is always an opportunity for the investors. Some guide line for the investors. 1. The business needs a huge investment so the investors should get a clear idea of the business. 3. One should be proper knowledgeable for the business to find out a proper business segment. 4. Maintain a good customer relationship is one of the important criteria for good business. 5. Products should be international standard and quality should be the best. 6. After sales service is most important for the instrument business and even for the reagent. So one should take extra care for the after sale service. Plasmatec laboratory Products started with a small range of products but gradually it increases its products line and day by day improved its position in this diagnostic market. To compete with the other company Plasmatec introduces new products to the market and adopted diversification strategy with a view to increase the company’s growth and profitability. Its main strategy was to decrease the price of the products maintain the high quality compare to others company. Plasmatec started its journey in 2004 with a small no of items, increased its items in different section of consumables and improved rapidly continuously. Within 6 years it becomes remarkable company among the diagnostic reagent supplying company. If such growth strategy continues Plasmatec will reach to the top of the respective arena of diagnostic reagent business.